We’ve talked about the origins of the High Elves in their Highborne ancestors, and the Shen’dralar of Eldre’Thalas and their history. And now, we cover the long history of the High Elves in their new home of Quel’Thalas, their rise to unquestioned dominance of their chosen kingdom, and the eventual fall and destruction of that kingdom and their people… and the nation that rose after, the Sin’dorei realm that shared the same name but is in many ways a very different nation, although inhabited by many of the same people. The split between High Elves and Blood Elves is not like that of the ancient Highborne and their Kaldorei bretheren, because it is still fresh. The Shen’dralar may have returned to the Night Elf nation, but they have ten thousand years of divergent history that keeps them from being the same people. Similarly, the break between Kaldorei and Quel’dorei was 10,000 years past, time for them to have changed physically and mentally, much as the Nightborne have. But the Blood Elves are the High Elves, or at least they were. 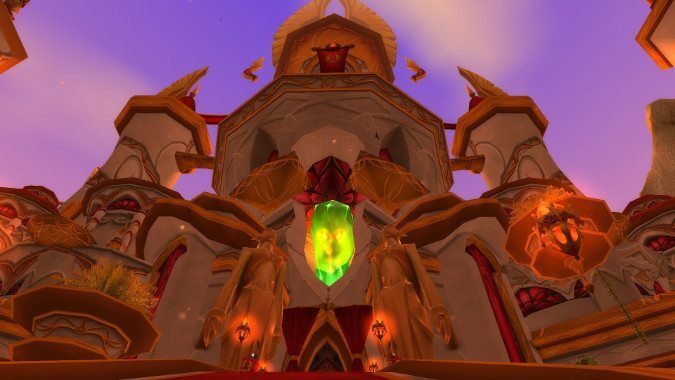 It hasn’t been that long since Kael’thas declared their existence following the destruction of the Sunwell. Relatively few Blood Elves were born since those events. 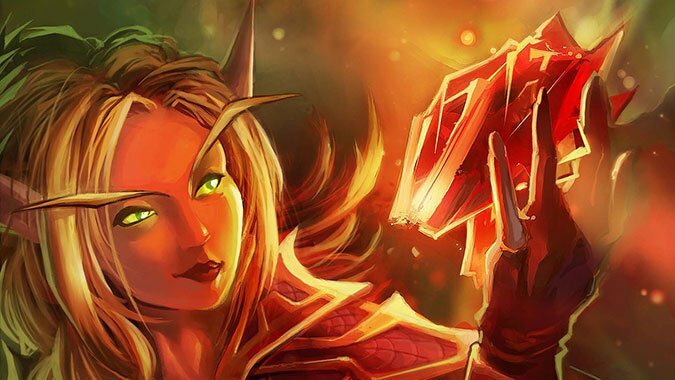 The vast majority of the Blood Elves were alive before, and once called themselves Quel’dorei. The few remaining who use the name High Elf to refer to themselves, if they have any surviving family at all after Arthas’ rampage, may well have Blood Elves as direct kin, because the majority of those that survived the Scourge are the ones who accepted the name Sin’dorei. This division is too recent to claim any real difference, aside from ideology and methodology. And often those divisions are the most searingly painful. After the foundation of Quel’Thalas and the establishing of the Sunwell by Dath’Remar Sunstrider, the High Elves entered into what one could call a golden age, both for the red and gold coloration of their new home and for their relative prosperity. Things were hard at first, even with the creation of the Sunwell the Elves nearly perished on first arriving in the Eastern Kingdoms. Their original landing place of the Tirisfal Glades nearly drove them mad and if not for the charity of the local Human tribes (who would in time become the people of Lordaeron) they might not have survived to travel north to Quel’Thalas. Despite this, the Elves did not seek close ties to Humankind. Indeed, their closest contact during the initial period of their colonization of the north of the Eastern Kingdoms was with the Amani Trolls, and it wasn’t peaceful. Elves and Trolls have never gotten along very well. The ancient Highborne built the Kaldorei Empire by essentially taking much of primordial Kalimdor from the Gurubashi and Amani, and that hadn’t been forgotten. 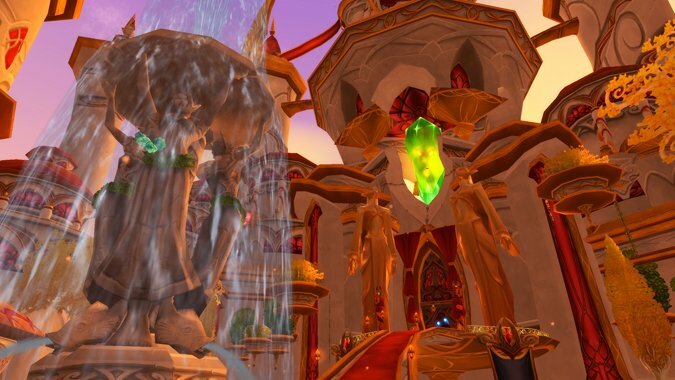 The High Elves did not seek a vast empire — for one thing, the Sunwell, although a mighty font of magical power, was much smaller and weaker than the vast cauldron of arcane might that had been the original Well of Eternity, or even the smaller Well that Illidan had created atop Hyjal. There simply wasn’t enough power available to them to start up the old ways, nor were they particularly interested in conquest. But the Amani weren’t mollified. They considered the lands the Elves had settled in theirs, and they weren’t interested in sharing with the descendants of those who’d stolen everything from them once before. However, there wasn’t much the Amani could do about it, either. 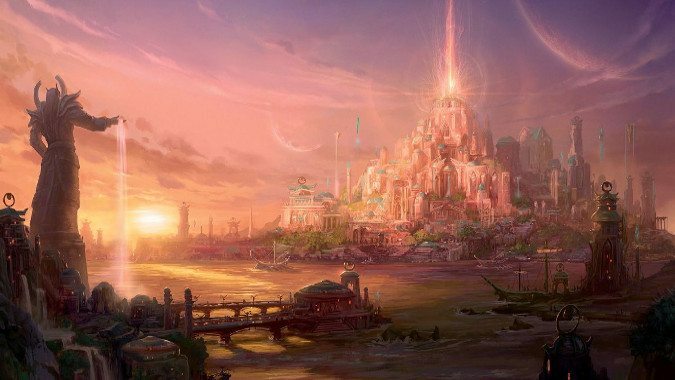 The High Elves were entrenched in their settlements, including the vast magical city of Silvermoon, built using the power of the Sunwell in record time. They weren’t interested in a war of conquest but they were able and willing to defend themselves, and though they’d continued to embrace magic they had not forgotten all of their people’s legendary woodcraft and guile. Different as they were becoming from the Kaldorei, they were still elves. And so the deadlock began — the High Elves could not be dislodged from Quel’Thalas, and the Trolls would not leave their fastnesses of Zul’Aman and Zul’Mashar. In those days, the Trolls controlled much of the Eastern Kingdoms, from Zul’Aman all the way south into what is now Alterac, the Arathi Highlands, even Dun Morogh. Not all these tribes were the Amani (indeed, the Gurubashi controlled much of the south, and they weren’t on good terms with their Amani cousins, plus there were independent tribes) but most of them agreed that Elves were the enemy. This state of affairs lasted for thousands of years. Relatively recently in Elven terms, the scattered and barbaric Humans who the Elves had met briefly when they’d arrived in what is now Tirisfal began to change. The High Elves can’t be said to have really noticed at first. They had their own problems, as after generations of war the Amani and other trolls had finally gotten their numbers and their hatred for elves up to a fever pitch and they were pressing the forces of Quel’Thalas in skirmish after skirmish. The Amani had learned after millennia how to fight the Elves — countering their vast magical skills with their own loa and matching them in woodcraft, the superior numbers of the Trolls were now a significant challenge to the High Elves. Basically, after the ignition of the Sunwell, the High Elves had entered a period of, to put it bluntly, utter stagnation. They didn’t seek to expand or explore the world around them, but rather to remain safely behind their Elfgates and wards and simply maintain what they’d built. They were neither conquerors nor diplomats, neither empire builders nor explorers. They did not engage in much travel or trade, and as a result golden Silvermoon was like an ancient Elven city frozen in Amber. A recreation of the glorious past of the Highborne, but without any of the dynamism that was a part of that past. The High Elf king was named Anasterian. He was a relatively new king, and for his people somewhat of a radical thinker. He realized that he and his people could not defeat the Amani. Oh, it would probably take another thousand or so years but eventually the Amani would prevail. They’d had thousands of years to build up their numbers, sharpen their hatred and develop magic that allowed them to face the Elves in battle. Although the High Elves were not cowards, they simply didn’t have the numbers to match the Trolls, and any protracted battle would see many of his people slain, people they simply weren’t replacing with the limited size of Quel’Thalas versus Trolls from all over the continent. But unlike many of his people, Anasterian was enough of a forward thinker to notice that the Humans had changed. Although they’d been scattered into clans and tribes for countless centuries, a leader had risen to power among them, and now from their seat of power in the southern Highlands this leader was balking the Trolls in combat. Humanity had what Elves lacked — the numbers to stand and fight the Trolls on an open battlefield, and the raw martial prowess that Elves simply hadn’t valued for thousands of years. 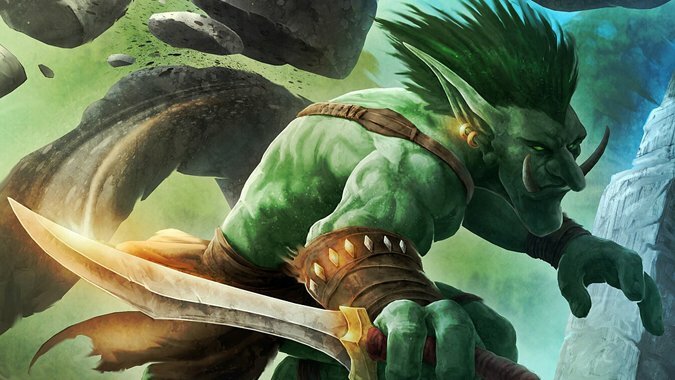 What they lacked was the means to overcome Troll loa magic. And that was something the High Elves had. Next week, we look at the Troll Wars, how they led the High Elves into the Alliance some 2000 years later, and how that led to the fall of Silvermoon and the rise of the Blood Elves.